Building Goodness Foundation (BGF) volunteers are working hard to remodel our new space in order for us to start collecting used medical equipment for children in need of medical equipment. All Blessings Flow was blessed with a grant from BGF for them to help us with creating better cleaning and repair stations and a room for caregiver support group meetings. The additional space and the help of BGF is vital in order for us to grow and continue helping individuals with disabilities who are unable to afford these items on their own. We are so grateful to our partners and to the community for all your love and support! All Blessings Flow is a local faith-based nonprofit organization which collects, refurbishes, and redistributes used medical equipment to those in need throughout Charlottesville and surrounding areas. Small equipment donations may be dropped off at any Kroger Pharmacy in Charlottesville, but for larger pieces of equipment or for numerous items, please drop it off at our shop located in the Riverside Center at 2335 Seminole Lane​directly behind Rhett's River Grill and UVA Primary Care. or email us at allblessingsflow@yahoo.com. If you would like to donate your gently used medical equipment you may ​drop it off at our shop ​located in the ​​​Riverside Center. ​Drive around behind Rhett's River Grill and UVA Primary Care to the lower level. ​Our sign is on our door. To fulfill our mission, operating expenses have greatly increased. The founders began All Blessings Flow using personal funds and continue with the help of friends, church families, and local businesses. If you would like to support our mission we hope you will consider making a monetary donation. ​​By clicking on the Amazon Smile link you will be taken to a Sign Up / Login page. Log in using your existing account, or create an account. All purchases that you make will result in Amazon Donating 0.5% of your purchase amount to All Blessings Flow! You will be helping us just by shopping through Amazon Smile! Don't forget to Bookmark your Amazon Smile webpage! 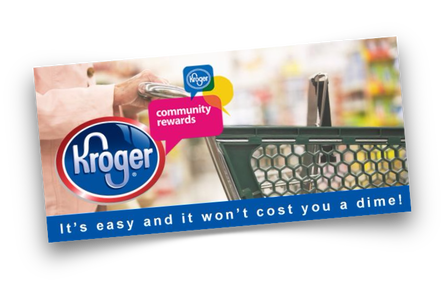 you swipe your Kroger card you support ABF ! THANK YOU so much for taking the time to do this to help our mission! Every little bit helps to fund the work we are doing for those in need. ​Like us on Facebook and read some of the touching stories of those who have been blessed with needed medical equipment from our generous donors. Your donations help improve the safety and quality of life of individuals struggling with disabilities who cannot afford to buy such needed items themselves. We are in the NEWS!!! Click on the NBC 29 Image to view the article. All Blessings Flow is an IRS designated 501(c)(3) non-profit organization and all equipment and monetary donations are tax deductible. ​Your generous support will help us as we continue to grow and spread more blessings to those in need throughout our community.